WASHINGTON ― The U.S. Navy and Marine Corps continue to invest in vertical takeoff aircraft, announcing a $4.2 billion contract with the Bell-Boeing Joint Program Office for dozens of new V-22 Osprey tilt-rotor aircraft. The agreement provides for the manufacture and delivery of 39 CMV-22B aircraft for the Navy and 14 MV-22B aircraft for the Marines. The delivery is expected to be completed by November 2024. The Navy will use the new tilt rotors for transporting personnel and cargo from shore to aircraft carriers. The Osprey is also used in infiltration/exfiltration operations. The V-22 and its variations have seen use by the U.S. Air Force for resupply operations, and by the Marines in Syria. The Army is also interested in developing vertical lift capabilities for deploying strike teams. 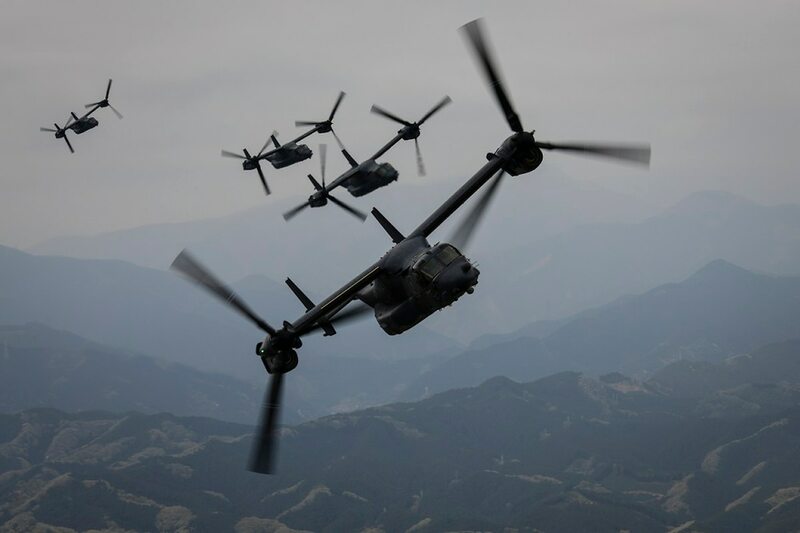 The contract included a sale of four MV-22B aircraft for the government of Japan, where five American Ospreys arrived this spring to begin a deployment based in Tokyo. The purchase “enables the U.S. Navy to begin advancing its carrier onboard delivery fleet with modern tiltrotor aircraft” Kristin Houston, vice president for Boeing tilt-rotor programs and director of the Bell-Boeing V-22 program, said in a news release. The Air Force will also receive one new CV-22B from the contract.